Because we happened to move to New York City, and because my mother, who was from a small city in Central Illinois, was hungry for art and culture, I was exposed to the great museums when I was quite young. 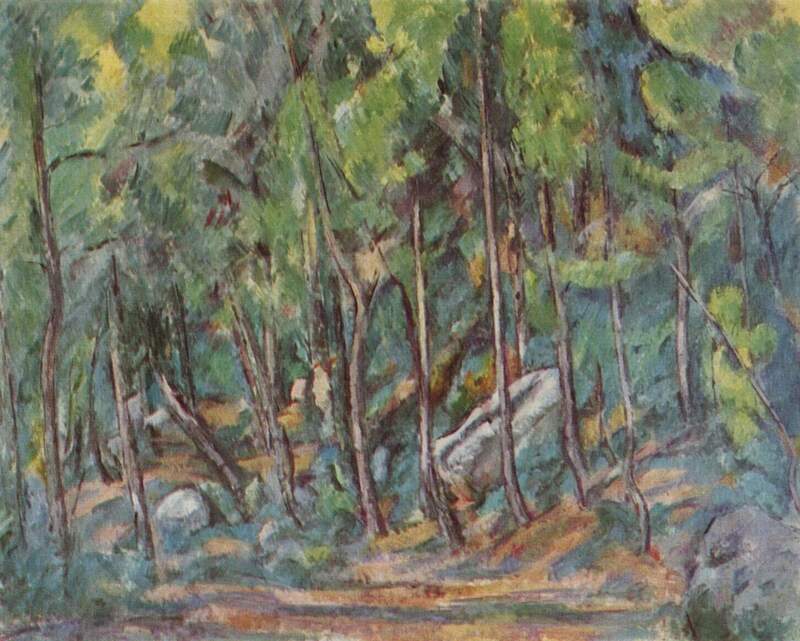 I can remember seeing Van Gogh and Renoir, Modigliani and El Greco, but no one quite moved me like Cezanne. 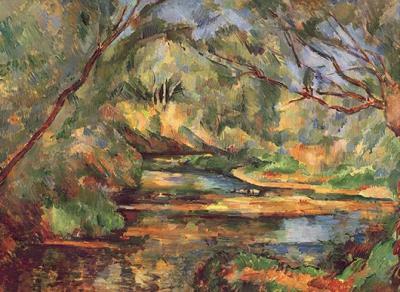 I was five years old at the time, and it was Cezanne who invited me into his world like no one else did. A mysterious, magical world that existed alongside this one, but was different. In this world but not of it. To this day I am not quite sure how he did it. Though I have gone back to look at his work innumerable times, I have not been able to recapture the feeling I had as a child. I have also read about his life, his techniques, and interpretations of his oeuvre. But that initial and startling realization as a young person that a French painter from another century had the key to another world beside this one—or through this one—or at any rate co-existing with this one—though less readily available—has never been duplicated. And here’s the thing. 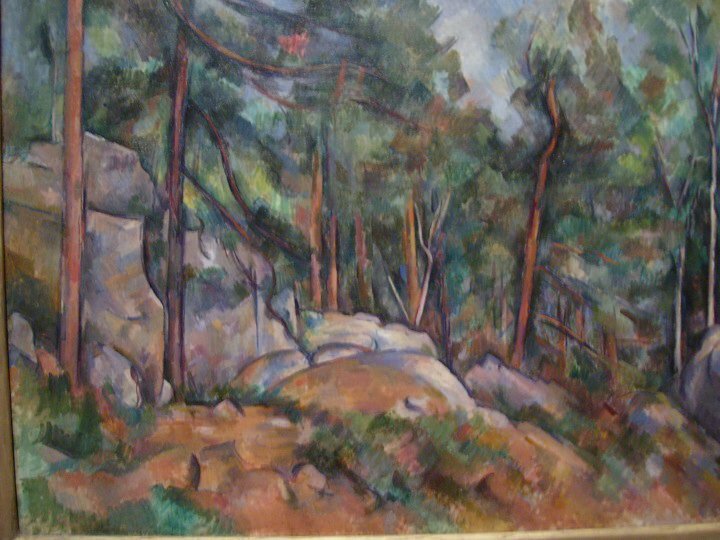 Cezanne not only saw it himself and showed it to me on his canvases, but he invited me in to share it with him. That was the feeling I got with the landscape paintings, the blue trees and blue rocks. The sheer magical depth of scenes I had never envisioned or thought might exist—and yet here they were. It was a very different feeling from the one I got from stories and fairy tales and the illustrations provided in those books—perhaps because I was looking at the actual work of art, and not a printed version on paper. And here’s another thing: there was nothing there to see! Of this “other” world, I mean. It was the merest suggestion, but that was all it took to get my imagination. And I think that’s all I’ve ever needed, just a suggestion. As I might need only a single leaf to tickle my cheek in order for me to believe I am surrounded by a whole forest of trees! In other words, I was inspired. Because I knew, as most children do, that there truly was another world within this one, and it was just as real, just as viable. Yet many years had to pass by before I was willing as an adult to delve into the inner world with my inner creative being. Years of disappointment, shattered hopes and dreams fallen by the wayside before I could say to myself Wait! There IS something else! Something inside to explore. And Be. And Realize. And Do. And Create. But I had to reach for it. I had to dig and delve. I also had to master my materials of choice—the paints and instruments of drawing—a process of trial and error as most things are. The continuing result has of course been worthwhile. For as I gave credence to the inner workings of my psyche, I came more alive in the outer expression of ‘my’ world. And that has been the greatest payoff imaginable. To come more alive to oneself. And then, to feel the whole world resonating with that same aliveness, that same spark of life and creation, of change and evolution. 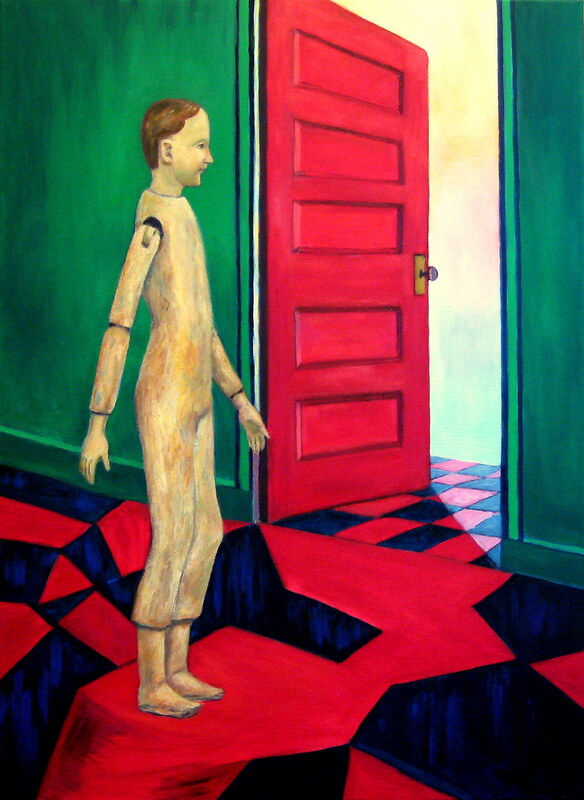 This entry was posted in Art of the Path. Bookmark the permalink. 2 Responses to Why Create ART? This is an excellent bit of writing and I so enjoyed the paintings, perhaps LittleMan#4 best of all.